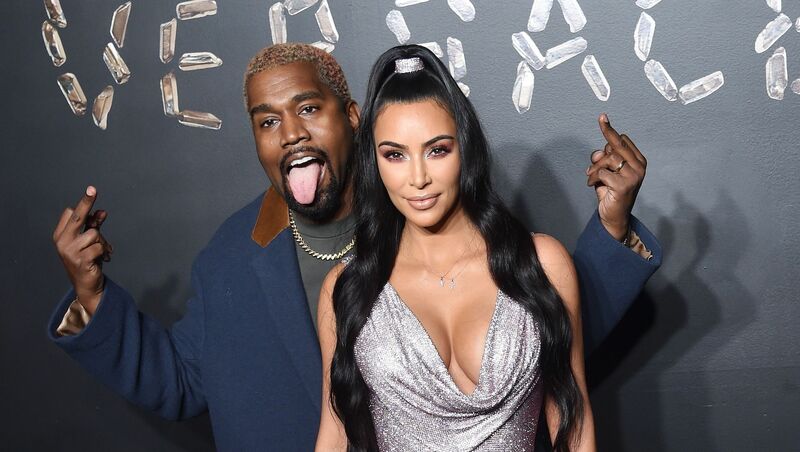 If you have a dark sense of humor, I hope you’re sitting down because the April Fools’ Day prank Kim Kardashian’s kids pulled on Kanye will have you in stitches. The Keeping Up With the Kardashians star shared the hilarious (if a bit macabre) story in a new interview with Elle. “[North and Saint] are starting to get closer now that she can include him in her jokes,” Kardashian told the outlet. Awww! But what jokes does she speak of? Well, she provided a very recent example of the siblings teaming up to play a seriously dark prank on their dad in honor of April Fools’ Day. “[North] took ketchup into my bathroom, and she begged me to let her spread it on me, and on the bathroom, as if it was like a bad scary movie,” Kardashian said. Kardashian gamely complied when North asked her to lie down, explaining that she thought (at worst) her daughter was going to say she was injured. But that’s not exactly how things played out. “She taught Saint how to fake-cry — she showed him how to do it! — and then she told him to scream ‘Mommy’s dead! '” Kardashian recounted. Although she agrees with her husband in principle, Kardashian admitted she can’t help but give North and Saint props for pulling off such an, uh, sophisticated prank. “[It] did make me a little impressed that they planned something together, and they were getting along and having fun as a team,” she said. These two little ones are already skilled pranksters and something tells us that they’re going to keep Kim and Kanye on their toes for years to come.